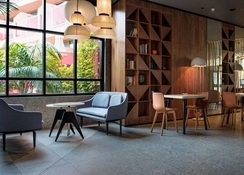 Nestled on the serene Playa El Camisón beach in the island paradise of Tenerife, Hotel Sir Anthony is an adult only five-star boutique hotel offering the perfect blend of luxury and tranquillity. But that doesn’t make the hotel far from the buzzing city life of the island. The Golden Mile – the island’s main shopping street with loads of leisure and entertainment amenities – is very close to the hotel. 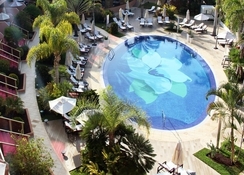 Situated amid tropical gardens, this hotel houses 70 spacious guestrooms and suites laden with ultra-modern amenities. The Windsor Gastronomic Place offers a memorable culinary experience, while for leisure the hotel offers a huge swimming pool and a wellness area consisting cabins for treatments and massages, relaxation lounge, beauty salon and Jacuzzi cabin. Guests at Hotel Sir Anthony can relax on the picturesque beach, explore countless nearby attractions such as Aqualand in Las Americas, Tenerife’s Zoo and Jungle Park, or simply stay put to enjoy the resort’s in-house facilities. 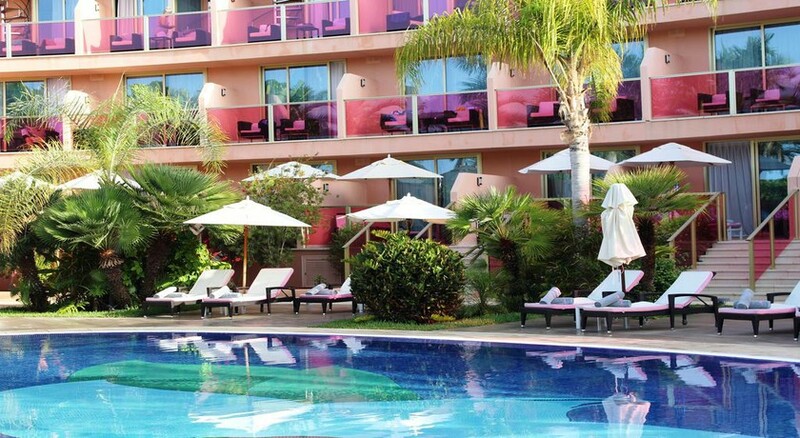 Hotel Sir Anthony is located in southern Tenerife. The property overlooks the Playa El Camisón beach, while Las Américas Golf Course and Siam Park are just 1km away. This plush property is 15km from the Tenerife South Airport. The Milla de Oro (the Golden Mile) is right next to the hotel, so you are a stone’s throw away from its buzzing shops, restaurants and pubs. Hotel Sir Anthony features 70 designer guestrooms and suites, all equipped with multiple services including minibar, tea and coffee making facilities, room service, high-speed Wi-Fi, air conditioning, satellite TV, bathroom with toiletries, safe, pillow menu and beach bag. Guests can choose from rooms that provide direct access to the garden, luxurious rooms with an opulent view of the sea and royal suites that are adorned with private swimming pools. 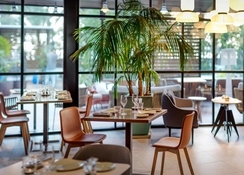 The cuisines offered at the hotel’s Windsor Gastronomic Place combine the best flavours and healthy ingredients of the Mediterranean and the Canary Islands. Special menus exclusive to vegetarians or those following a low-salt, gluten-free or sugar-free diet are available. 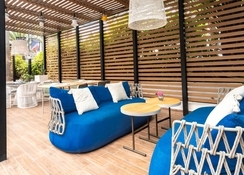 The hotel also accommodates a Windsor Bar, a poolside juice bar, a private beach club offering live music and 24-hour room service. Guests can also enjoy breakfast by the pool, with an array of locally-sourced products. This charming boutique hotel offers a 200-square metre swimming pool, tropical garden with a hammock and Balinese bed area, and a wellness centre with cabins for treatments and massages, Jacuzzi cabin, relaxation lounge and beauty salon. Guests can also explore the Golden Mile – the island’s main shopping street that features a number of leisure and entertainment options.